One of Australia’s oldest animal parks, Koala Park Sanctuary in the north-western Sydney suburb of west Pennant Hills, has pleaded guilty to three charges of ill treatment of their animals. This is on top of receiving numerous other defects over the years from Department of Primary Industries which placed defect notices to the park for ageing and dirty animal exhibits, drainage problems and out of date records. Koala Park Sanctuary was founded in 1920’s and opened to the public in October 1930, by Noel Burnet. The idea behind the Koala Park Sanctuary, was to protect the koalas which were killed for their fur and could have become extinct in future. One of Australia’s oldest parks, the Koala Park Sanctuary looks as if it has been forgotten over time. It’s become Australia’s saddest zoo: The koala ‘sanctuary’ has just three miserable koalas, emaciated kangaroos and one lonely penguin who is refusing to eat. 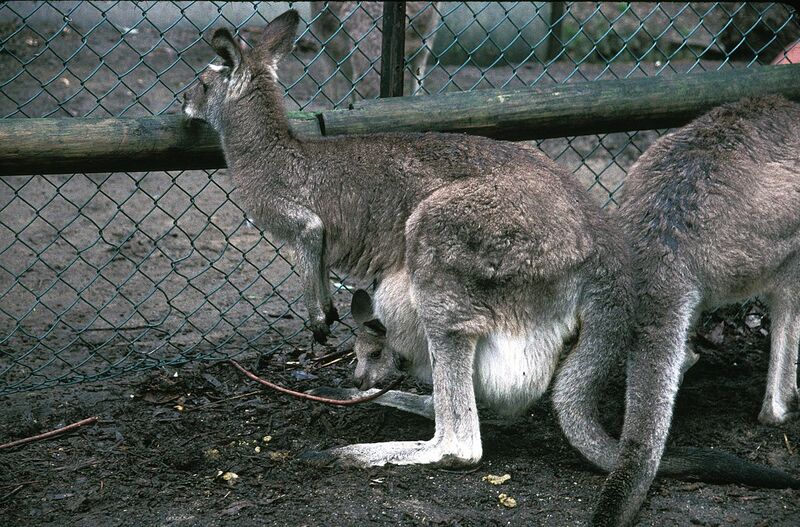 The park houses emaciated kangaroos, lethargic dingoes, lonely penguins, and only three koalas. Scrawny emaciated kangaroos, agitated koalas desperate to get out of their pens, lethargic dingoes with a stagnant drinking trough and one lonely fairy penguin which has stopped eating. 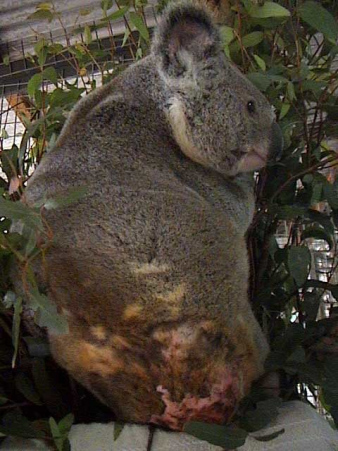 RSPCA NSW confirmed that the Koala Sanctuary had pleaded guilty to three charges of ill treatment of its chlamydia-ridden koalas and would be sentenced in February. It is facing fines of up to $190,000 from the RSPCA amid claims its koalas are riddled with a potentially fatal sexually transmitted disease. The park has pleaded not guilty to seven counts of failing to provide veterinary treatment to the koalas ­between February 25 and March 25 this year. Each count carries a maximum penalty of $27,000. A sanctuary is by definition a place of safety, and protection, for native animals. This one has become one where animals are neglected, and thus need protection from it! I took my Niece & Nephew on the 19th Dec 2015.We were all disgusted with the conditions the animals were in.We couldn’t see anyone working looking after the animals except the kiosk girl.It was an extremely hot day with no water anywhere?The Kangaroos were the worse,just sitting in dirt with no shade looking depressed with skin rashes.We all left very upset as we are animal lovers. If the animals aren’t with a proper care facility,they should be removed & put where they are taken care of properly. I’m against captivity but having said that, if you cannot care for them then you certainly have no business “owning” them. I’m against animal cruelty as much as anyone, but rather than simply stating “close them down” has anyone bothered to try and help them get back on track? There are few enough “sanctuaries” that are accessible to the public as it is, and if it is closed down they will only build high rise units in its place. The park used to be a thriving tourist attraction and could be again in the right hands. Perhaps one of the larger animal care organisations in Sydney could Aquire the site and repurpose it as a breeding centre or wildlife hospital and/or educational facility…..